During the week of June 26th the rising freshman of Delaware Futures joined DNS at the DuPont Environmental Education Center (DEEC) for a week-long marsh restoration experience. Delaware Futures helps at-risk, economically disadvantaged youth develop the social, academic, and problem solving skills they need to qualify for college and expand their opportunities. Students from Delaware Futures mulch a 250-foot trail at Dupont Environmental Education Center. 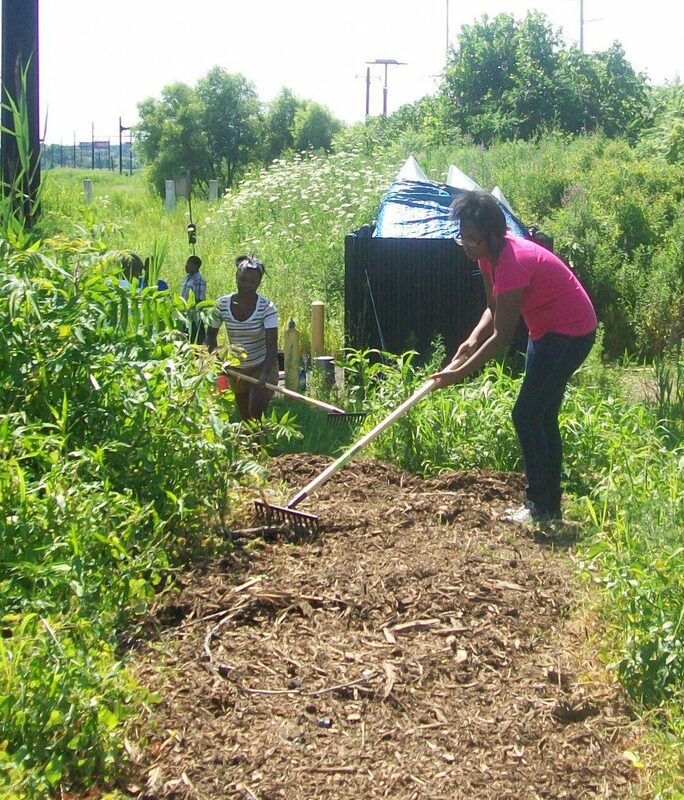 During the week of their program at DEEC, students spent their days learning about the Christina River watershed and aquatic life as well as contributed to the restoration of the Russell W. Peterson Urban Wildlife Refuge. The group spent the night each evening at Ashland Nature Center. Students in team “The Mighty 6” remove and bundle phragmites. These bundles will be used in areas that receive heavy dip netting traffic to prevent erosion and extremely muddy shoes! 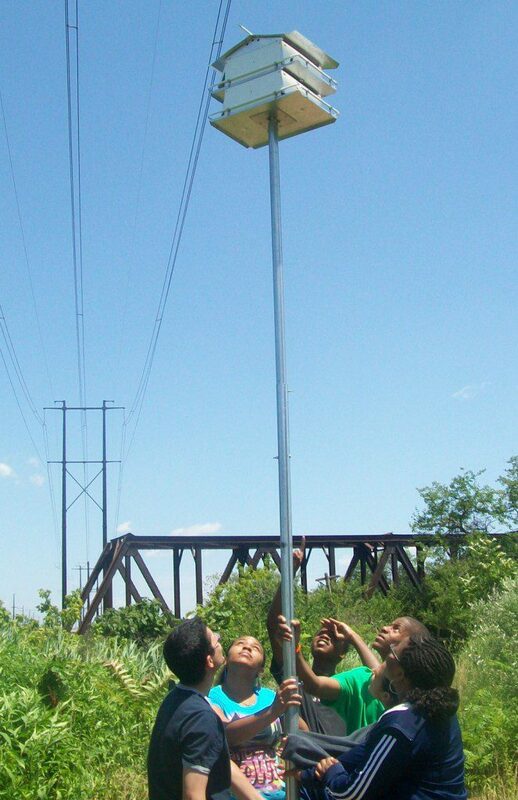 The group of 23 students split into teams to complete four projects: create a trail that provides increased marsh access for other program participants, assemble and install a Purple Martin nest box, remove invasive-exotic phragmites from the marsh, and build foot bridges for crossing wet areas on the trail. Students in team “Purple Martins” raise the house they spent the week building. Success! This is the third year Delaware Futures students have worked and studied nature in the Refuge. 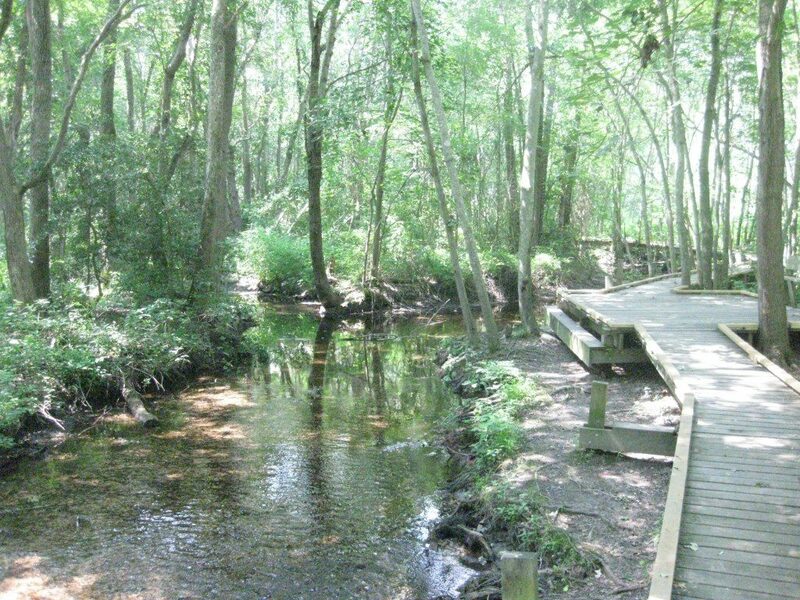 The long term plans for part of the marsh is to create an outdoor classroom that can be used by groups and for summer camps. These students have unofficially adopted this section of the refuge and will be back in the fall to continue working on this project! At the end of the week, student teams each gave a presentation summarizing the week of activities and what they learned to family, friends, program partners and the program sponsor, DuPont’s Clear Into The Future initiative. Thanks for another great week Delaware Futures! 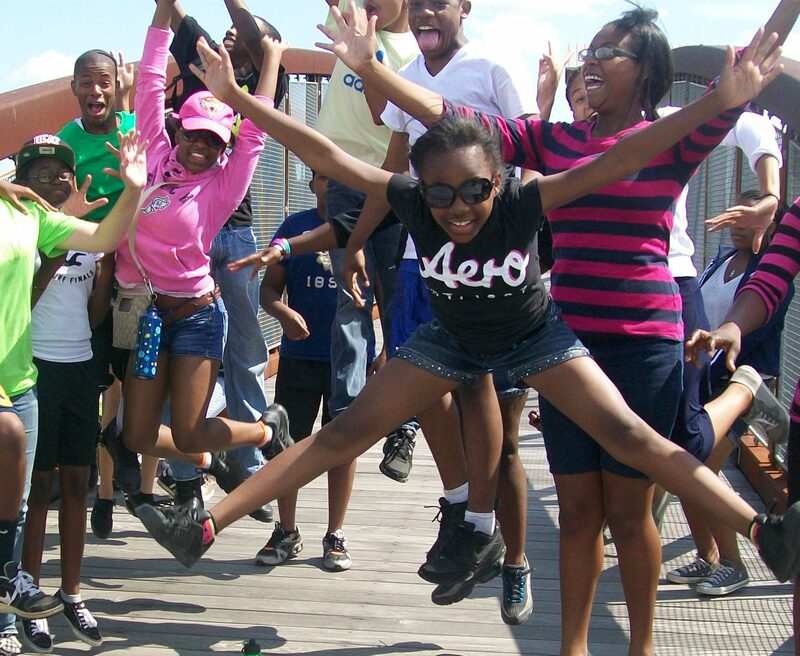 Students celebrate the end of the week with a leap! 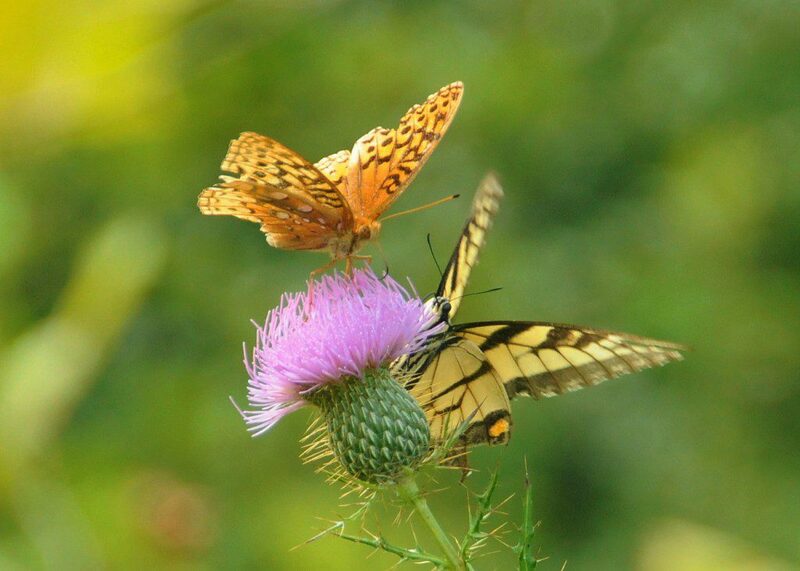 Watch for butterflies like the Great-Spangled Fritillary and the Tiger Swallowtail during this Sunday’s Butterfly Count. Photo by Derek Stoner. 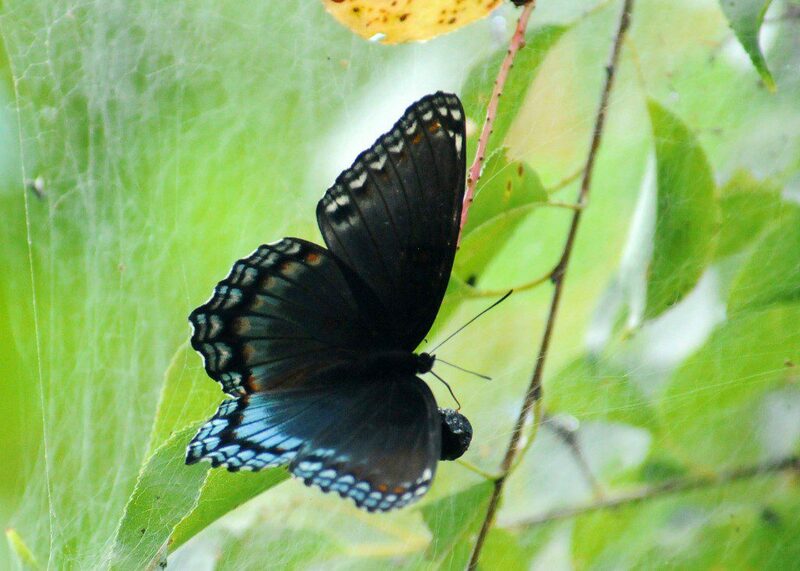 This Sunday, July 22, a team from the Delaware Nature Society will take part in the North American Butterfly Association’s Fourth of July Butterfly Count. I have happily been participating in this “citizen science” program for over 10 years, helping to build up a picture of butterfly populations across the U.S. and Canada. It is always fascinating, fun, and full of the unexpected. In previous counts we have encountered hundreds of Tiger Swallowtails feasting on wildflowers along Burrows Run; seen Monarchs mating at Ashland, discovered previously undocumented skipper species at Coverdale Farm… you never know what will pop up to amaze and delight a lover of Lepidoptera! Red-spotted Purples are always a popular butterfly to observe. Photo by Derek Stoner. On June 4th DEEC Manager, John Harrod, posted a blog on American Eel elvers. Elvers, defined as being less than 6″ long, mature into “yellow eels” as they grow and work their way up freshwater streams like Johnson’s Branch at Abbott’s Mill Nature Center. Eels are catadromous fish, meaning that they breed in saltwater (Sargasso Sea) and migrate into freshwater to spend the majority of their adult lives. For comparison, Shad and Salmon are anadromous fish, breeding in freshwater, but living in salt water. 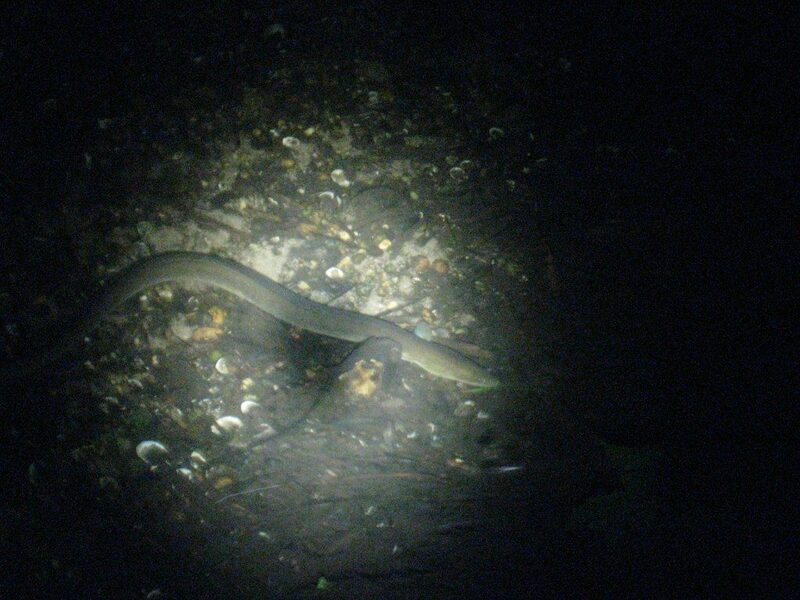 Despite the drought-impacted water levels (1-3″ in many sections), American Eels are conspicuous nocturnal residents on Johnson’s Branch during warm summer nights. Johnson’s Branch is one of the two main streams feeding the Mispillion River in Milford. In actuality, the river becomes a series of mill ponds as one heads upstream from Milford. Therefore, an eel at Abbott’s Mill has had to migrate at least 3.5 miles from Milford and over or around 3 dams. Elvers can and do leave the streambed on occasion to cross obstacles. A “Yellow” Eel in Johnson’s Branch. This individual kept it self stationary in the current for at least five minutes until I spooked it, quickly disappearing into the stream edge roots and debris.